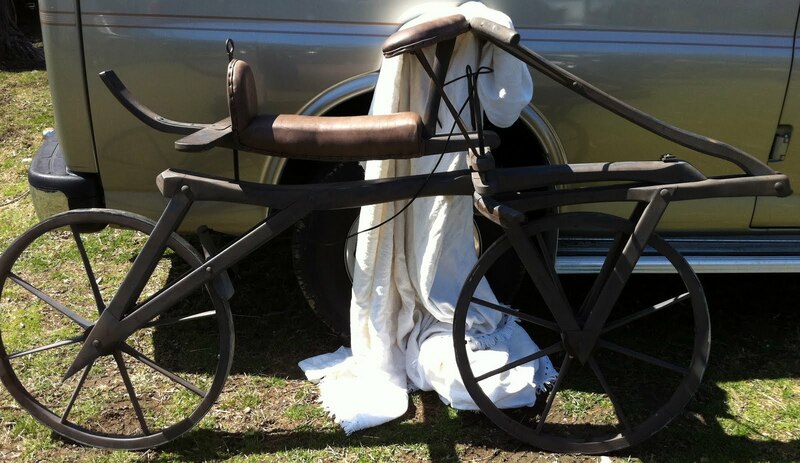 A hobby horse, precursor to the what we know as the bicycle. The rider would straddle the bicycle, and push along, it was before they employed pedals and drivetrains and tires and . . .you get the idea. All the bells and whistles on this Monark Silver King. 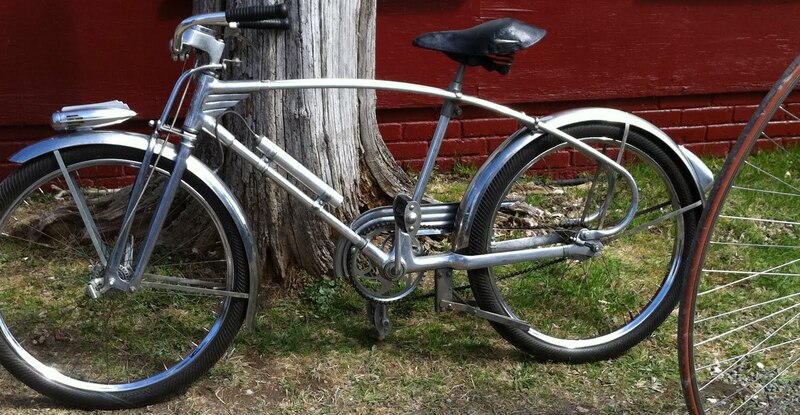 What a beautiful late 1930s aluminum bicycle. 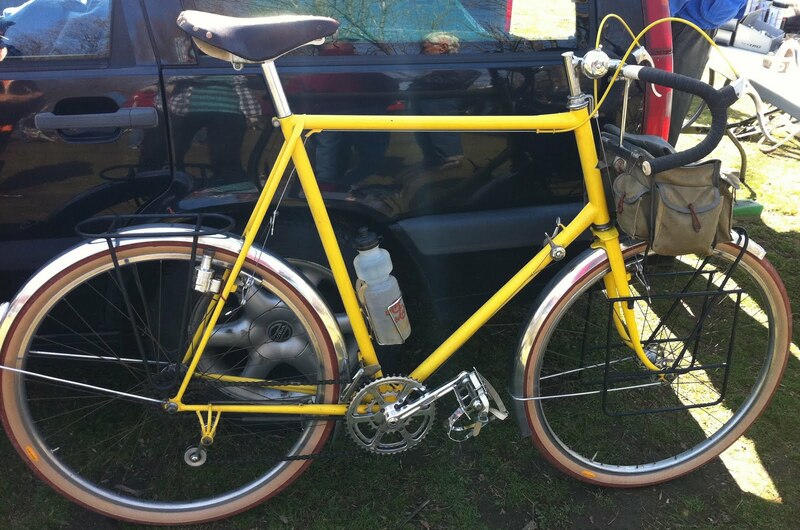 A mid 1960s Schwinn Paramount that was for sale at the Copake swap. 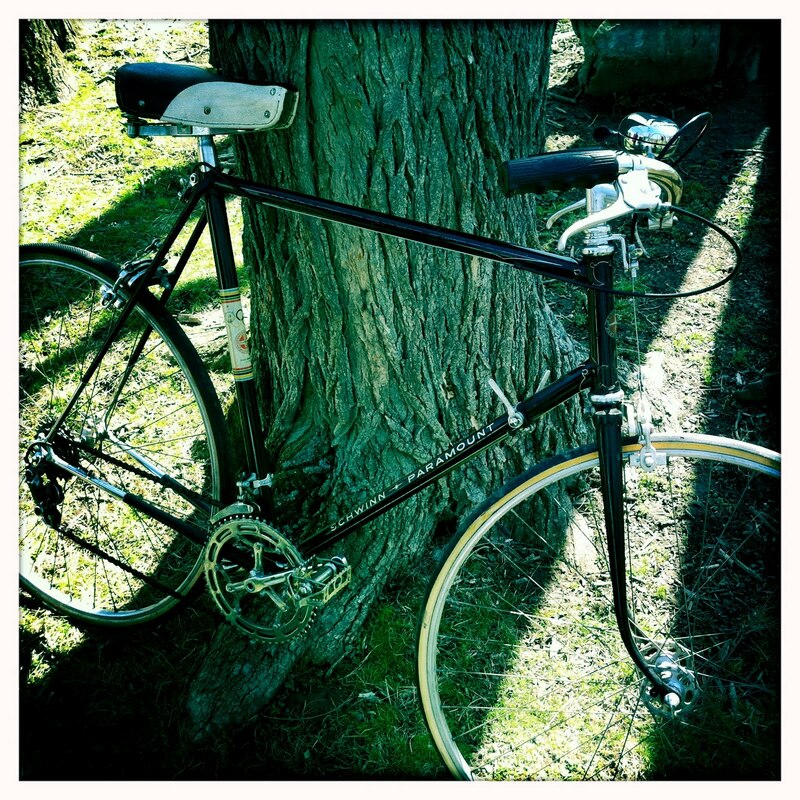 The handlebars and saddle were changed, to make it more casual. 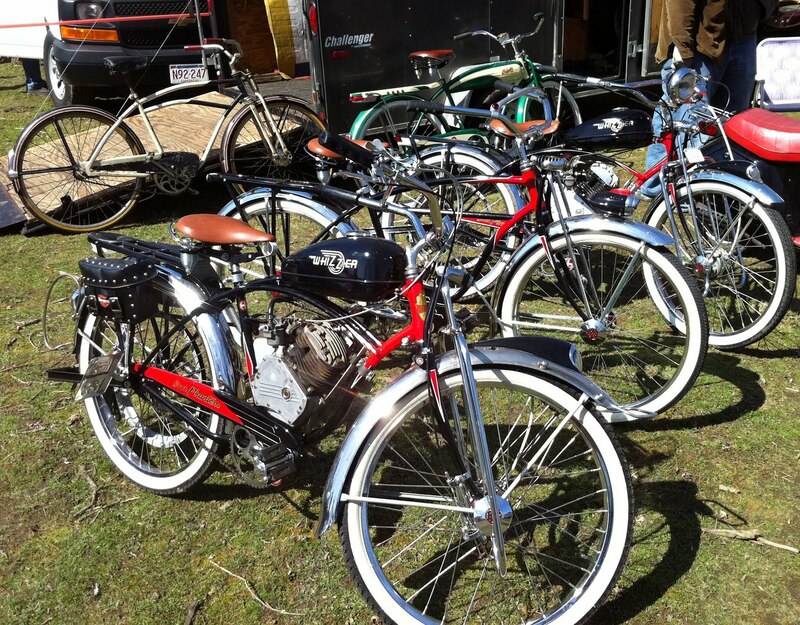 Nice pile of Schwinn balloon tire bikes- Black Phantoms and such. Jo Routens touring/camping 650b bicycle.